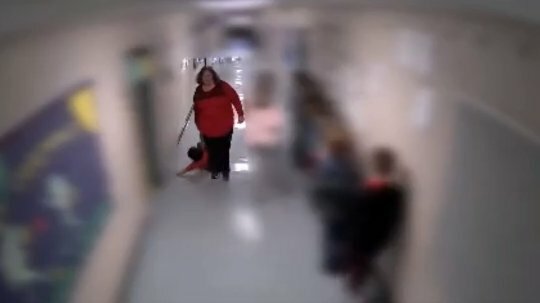 A female teacher was fired after a video of her dragging a screaming autistic boy across the school hallway has gone viral. 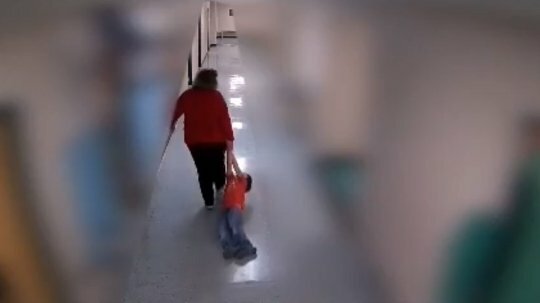 Teacher fired after ‘breaking autistic boy’s arm’ dragging him across the corridor. 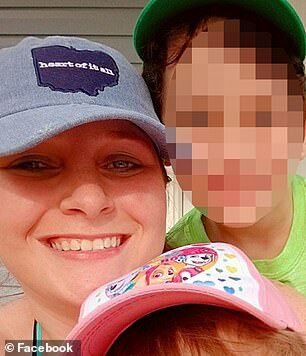 The CCTV footage showed Trina Abrams marching down a corridor of Wurtland Elementary School, in Kentucky while pulling the 9-year-old kid along by his hand. 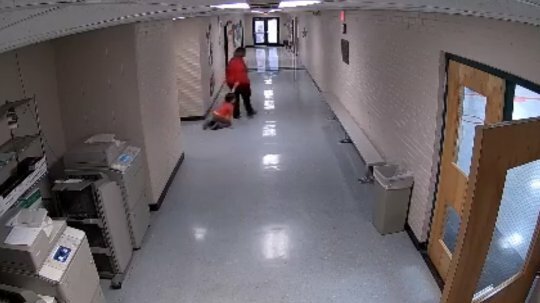 In the reports, the dragging incident happened after the boy refuses to walk, Mrs. Abrams stopped half way down the corridor and tells him to ‘get up’. However, the boy still refuses to do, so the teacher continues to pull him by the arm. The mother Angel Nelson, who shared the clip on social media, claims that her son was left with a fractured wrist as a result of what happened. She continued that her son said Mrs. Abrams also threw him down onto a chair, but added that she was unable to know if anything else happened due to his speech limitations and the positioning of the cameras at the school. The little boy suffers from numerous diagnoses including autism, ADHD, and PTSD. Apparently, Ms. Nelson first saw the video when her lawyer subpoenaed it from the school after the head teacher contacted her about the incident. 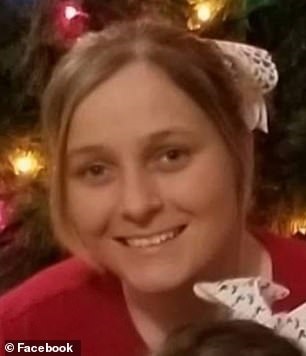 Surprisingly, Mrs. Abrams was reportedly in charge of the school’s special needs program before the Greenup County School District fired her. The teacher also pleaded not guilty to charges of assault related to the incident when she appeared in court last January 9, 2019. Meanwhile, the boy has since been moved to a new school where his mother said he is ‘adapting’.